Danna G. Eickbush received her B.S. at the University of Arizona and her Ph.D. at Harvard University. 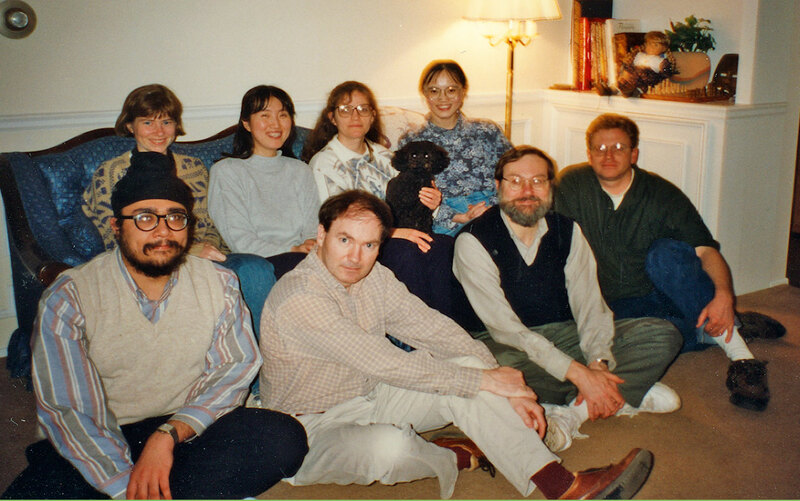 Danna and Tom came to Rochester in 1982 where Danna did a post-doc with John H. Werren studying the B-chromosome (psr) in Nasonia. In 1986, she joined Tom’s lab. Danna has specialized in Drosophila microinjections and RNA analyses. Her current focus is on understanding the regulation of R2 transposition activity. William D. Burke received his B.A. in Philosophy and History at the University of Rochester. He joined the Eickbush lab in 1985. Anna (Ania) Kurzynska-Kokorniak received her M.S. in Molecular Biology from Adam Mickiewicz University in Poznan, Poland, and PhD in Biochemistry from Institute of Bioorganic Chemistry, Polish Academy of Sciences in 2004. In the Eickbush lab she is focusing on the biochemical properties of R2 protein. akurzyns@mail.rochester.eduShawn Christensen recieved his B.A. 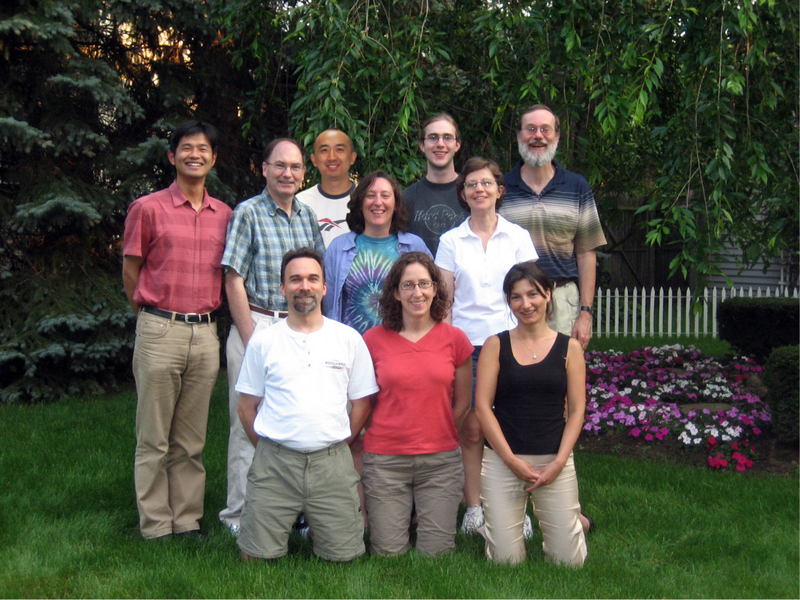 in Molecular Cellular Developmental Biology from the University of Colorado at Boulder. He recieved his Ph. 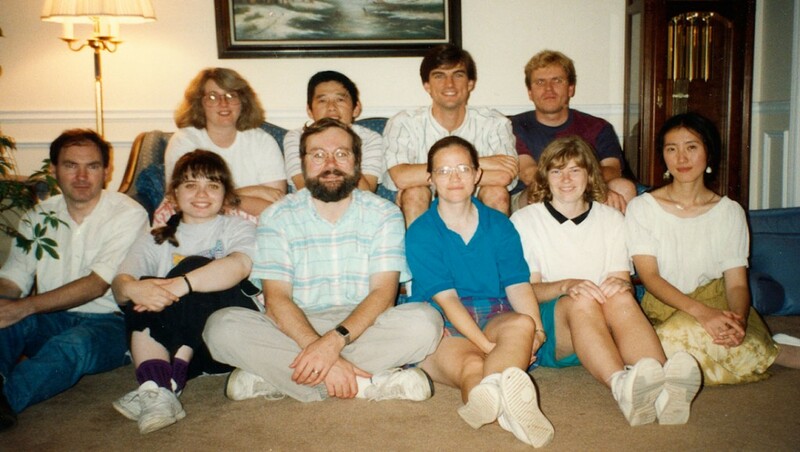 D. in Biochemistry from the University of Utah in 1999 where he studied the biochemistry of Tx1L in the lab of Dr. Dana Carroll. In the Eickbush lab, Shawn studies the biochemistry of R2 element integration. He is now an Assistant Professor at the University of Texas at Arlington. Junqiang Ye recieved his BS degree in Microbiology from Fudan University of China in 1996 and PhD degree from the University of Rochester in fall 2004. He has joined the lab of Thomas Maniatis as a post-doc at Harvard University. Cesar E. Perez-Gonzalez received his B.S. in Genetics at Iowa State University in 1996. He received his PhD from the University of Rochester in 2002. Cesar was a Postdoctoral Fellow at NIH with Anthony Furano and is now the Scientific Program Administrator at the National Eye Institute, NIH. Arkadiusz (Arek) Bibillo received his M.S. from Adam Mickiewicz University in Poznan, Poland. He received his PhD from Institute of Bioorganic Chemistry, Polish Academy of Sciences in 1998. Arek is currently working at Pacific Biosciences. Harmit Singh Malik received his B.Tech. in Chemical Engineering at the Indian Institute of Technology in 1993. He received his Ph.D. in the summer of 1999. He then joined the Henikoff Lab at the Fred Hutchison Cancer Research Center in Seattle. He is now an Assistant Professor at the Fred Hutchison Cancer Research Center in Seattle, Washington.